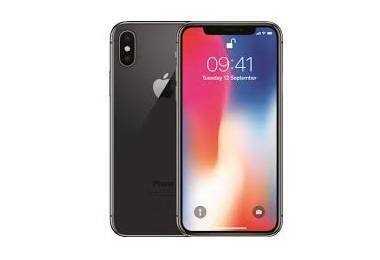 Latest price of Apple iPhone X 256 GB in India was fetched online from Flipkart, Amazon, Snapdeal, Shopclues and Tata Cliq. 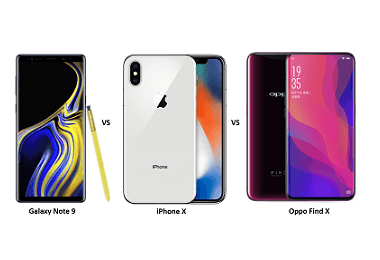 "Apple To Offer Free iPhone X Display Repair For Faulty Units"
Apple unveiled its latest Smartphone, the iPhone X (pronounced as iPhone Ten) at the September 12, 2017, launch event. Apple has skipped over the version “9” of iPhones to launch iPhone X that commemorates the ten years since the brand launched its first iPhone. The iPhone X is a sensational looking phone and is unlike any of its predecessors. You can now unlock your phone, just by looking at it, thanks to the new Face ID technology. The TrueDepth camera maps more than 30,000 invisible dots on your face to create an accurate depth map, thereby making it highly secure. Your face becomes your security feature. Apple has jumped on the Bezel-less bandwagon with the iPhone X. It has an OLED display that stretches from edge-to-edge and measures 5.8” diagonally. Apple has done away with the familiar home button and fingerprint sensor on the iPhone X. You now make use of intuitive gestures to perform the functions of the home button. Tap the display to wake the phone and swipe from the bottom to go back to the home screen. Press and hold the side button to launch Siri and swipe from the top for a customised control panel. The OLED screen is custom built to the high standards of Apple and offers a high contrast ratio of 1,000,000 to 1, high brightness and resolution, and displays stunning colours and true blacks to provide the best colour accuracy. The iPhone X uses True Tone Technology to reduce the strain on your eyes. The images on screen adjust the white balance to match the surrounding light, thereby making the display look as natural as that of a printed book. Apple has introduced HDR for the first time in iPhones. You can now watch movies and videos in HDR 10 and Dolby Vision. The Animoji (Animated Emojis) is a fun new feature which makes emojis come to life. Use the camera to capture your expressions and share them with friends and family. •	Processor: A 3GB A11 Bionic chip powers the iPhone X. It has six cores – two dedicated for high-performance tasks, and four for regular tasks. •	Design: Durable Glass panels cover both the front and back. Water and Dust resistant. •	Storage: It’s available in two versions: 64 GB or 256 GB. As with all other iPhones, there’s no slot for a microSD card. •	Cameras: The rear camera has a dual-lens setup with OIS and 12 Mp. One lens has an aperture of f/2.4 while the other is f/1.8. It has a TrueTone flash and slow sync. The 7 Mp TrueDepth front camera not only maps your face but also works great for selfies. Five different lighting styles are available for portraits, on both the front and rear cameras. You can capture slow-motion videos or true-film style videos in 4K. •	Battery: iPhone X charges wirelessly using the Qi standard, and you can charge it using the AirPower, a charging mat from Apple. You can also use Qi pads made by other brands like Belkin and Mophie. •	OS: iPhone X uses the latest version of iOS, the iOS 11. •	Revolutionary Face ID. Unlock your phone with just a look. •	Pre-installed iOS 11 with updated Siri. •	Curved, edge-to-edge OLED display that elevates your viewing experience. •	Wireless charging that lets you charge quickly without generating heat. •	The A11 processor is highly efficient and delivers a seamless AR experience. •	Full-glass display that is fragile and likely to break, when dropped accidentally. •	Split tasking that is present in Android Nougat is absent in the iPhone X. •	No 3.5mm Audio headphone jack, which makes it necessary to rely on other connectors. •	No iris scanner which is present in flagship Samsung models like the S7 and S8. •	Price is steep when compared to other premium models available in the market.